My heart broke at my friend’s words. And I know from my readers – and from personal experience – that the need for physical affection is a massive issue for many singles. Touch is a basic human need but unless you have tactile friends and family, or you’re in a ‘huggy’ church, single Christians can go months or even years without any significant touch. This can be incredibly painful and emotionally damaging, especially if physical affection is one of your top ‘love languages’. ‘Even in church, people only hug their family or their clique…’ added another, sadly. The situation can be even worse for men than for women. Us ladies can hug each other more easily, while men are less likely to embrace a buddy. Male pals tell me they worry that if they go around hugging women at church, they’ll get a reputation for being sleazy. They admit that the craving for affection leaves them vulnerable to being tempted into inappropriate sexual relationships. I’m fortunate that I have huggy friends and family, and a warm and affectionate church. On a Sunday morning, I get embraces from friends of both sexes – and my lovely vicar hugs everyone, male and female! But if your church is more formal, is it possible to cultivate a more cuddly culture? Should you even try? Maybe not, but that doesn’t mean you should settle for a lack of friendly touch. However, it will be up to you to start changing the situation, as other people are probably unaware of your plight. There’s no shame in telling friends and family that you’re suffering emotionally because of a lack of physical touch. Friends may be delighted if you start initiating hugs when you say hello and goodbye, and most people appreciate a friendly hand on the arm or pat on the shoulder when it’s appropriate. I can attest to the joys of cuddling up with a furry friend. But to thrive, we also need affectionate touch from other people, and churches should be mindful of that. If you’re currently in a relationship – or you’re fortunate enough to meet someone in the future – I appeal to you to remember the singles in your congregation and make a point of offering them a friendly hug whenever you see them. For some people, their love language definitely isn’t physical affection! 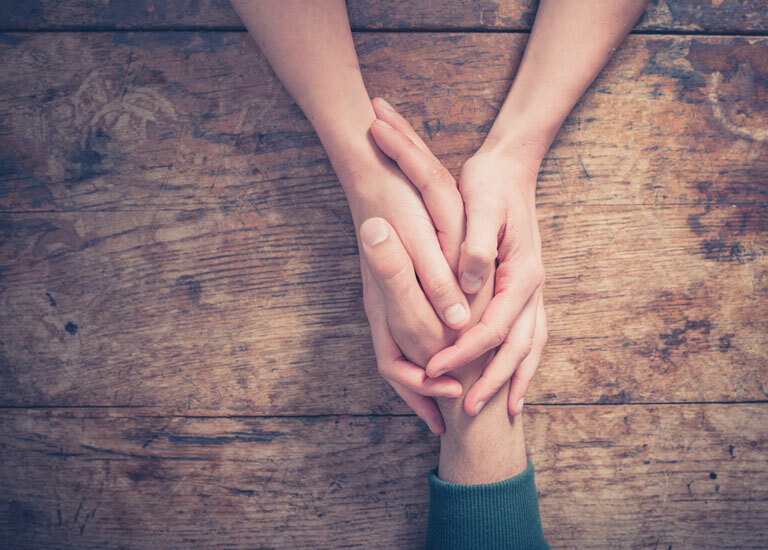 Others may have had traumatic experiences that make them wary of being touched – so do ask first.